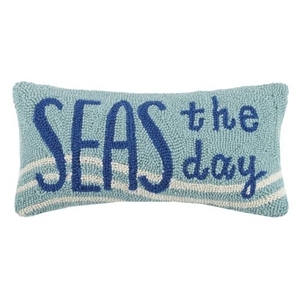 Peking Handicraft Seas The Day Hook Pillow , Shop Now! Home :: Home Decor :: Nautical Pillows :: Beach House Hook Pillows :: Seas The Day Hook Pillow 9X18 in. Seas The Day Hook Pillow 9X18 in.